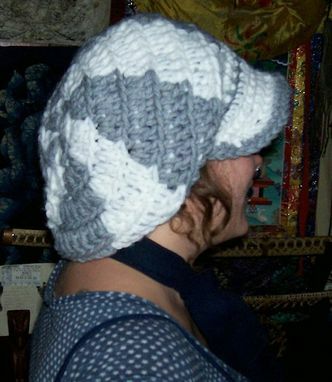 This is a very full newsboy hat made out of chunky acrylic yarn. I love the subtle swirling pattern. I found the yarn at a thrift store and it had never been used before, since it was still in the original package and wound in a skein. 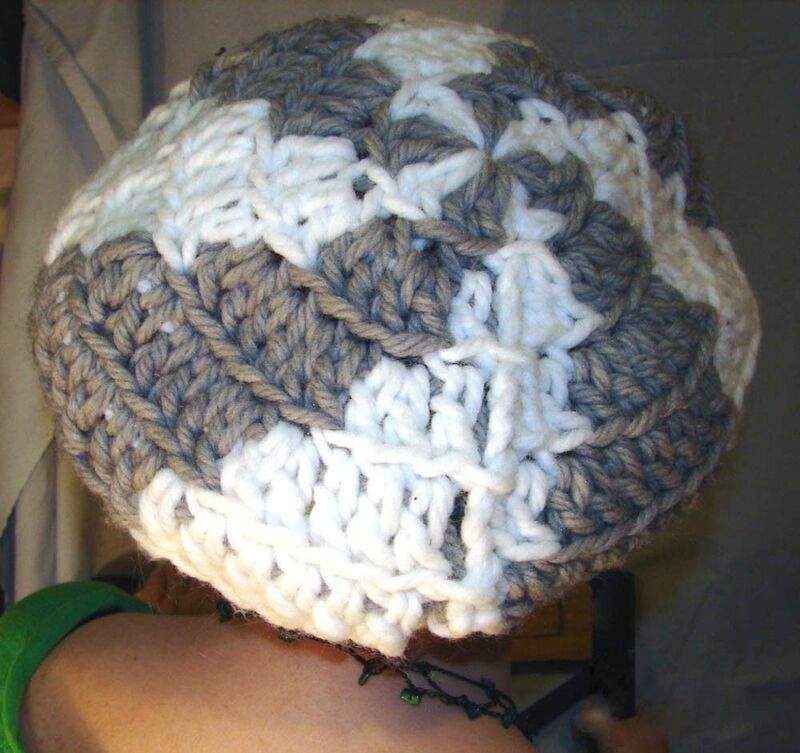 The brim is very stretchy and will fit just about anyone. I have it modeled on a woman, but it is a unisex hat.